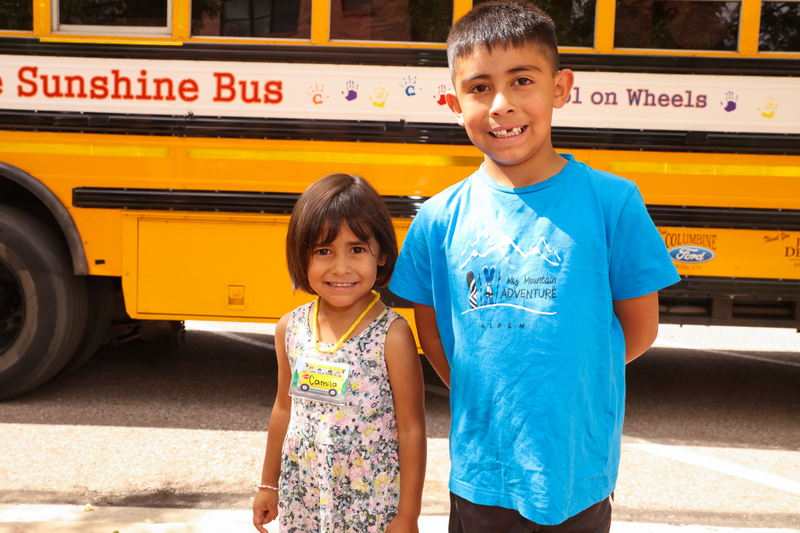 Developed in partnership with the Garfield School District Re-2, Aspen Community Foundation’s Preschool on Wheels program has served the children and families of Rifle, Silt and New Castle since 2012. In that time, Preschool on Wheels has accomplished what it set out to do: fill a gap in early childhood education spaces and ensure kindergarten readiness for low-income children who were not able to access traditional programs. With the increased availability of early education spaces, the Preschool on Wheels program will conclude operations at the end of this school year. 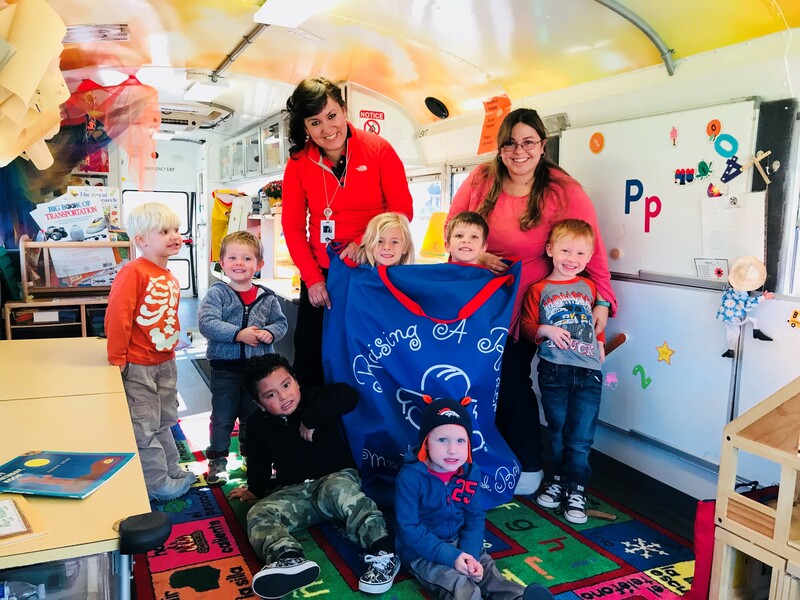 While Preschool on Wheels has been operating, the school district, along with other community-based providers, have increased their capacity to serve more children. There are now almost 150 more early childhood education spaces for children in these communities, some of which are reserved for low-income or at-risk children. The result: nearly everyone in these communities who wants licensed preschool is now able to access it. Since the program began, Preschool on Wheels has provided approximately 600 children an important foundation for lifelong learning. Children participating in the program have consistently demonstrated increases in developmental milestones that indicate kindergarten readiness. And parents have repeatedly noted their child’s increased academic and cognitive skills as well as their social-emotional growth. In addition, Preschool on Wheels has served as a model for how to provide quality preschool experiences for underserved children. The program was the impetus for the State of Colorado to adopt a licensing classification for mobile preschool programs. And it shined a spotlight on the importance of and increased the community investment in early childhood education. “Our work with these children and their families revealed other persistent needs in the community which are critical for kindergarten readiness. ACF looks forward to continuing its longtime partnership with the school district and also working with the communities to develop resources that focus on the whole family, an approach that research suggests will lead to even better outcomes for children.” Tormohlen said. 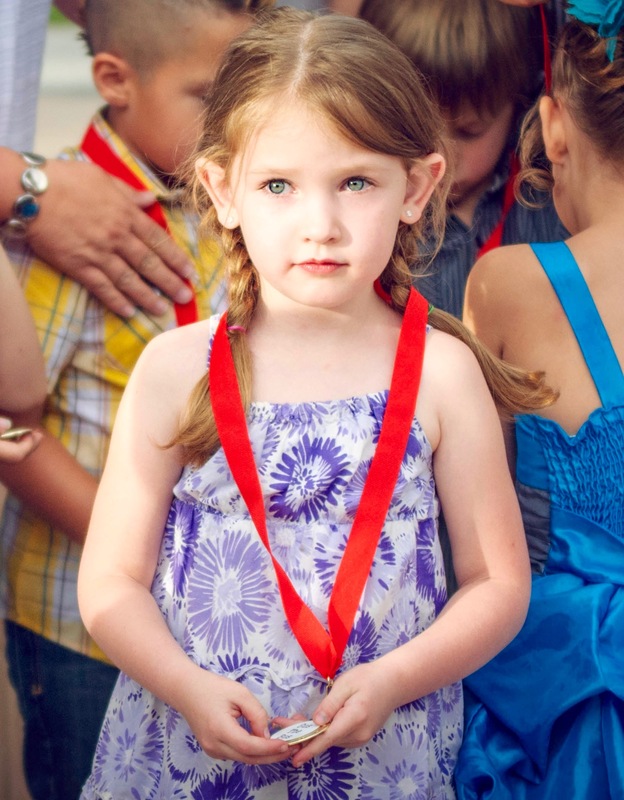 For more than 15 years, Aspen Community Foundation has been committed to early childhood education. From launching an initiative to help preschools improve quality and establish tuition assistance programs to establishing a permanent charitable fund to support early education to creating the Preschool on Wheels program, Aspen Community Foundation has evolved its approach to meet the changing needs of young children and families. Since 2003, Aspen Community Foundation has invested more than $6 million to improve the quality of and expand access to early childhood education and care that promote kindergarten readiness for the region’s youngest children. In 2012, Aspen Community Foundation launched its Aspen to Parachute Cradle to Career Initiative to bring nonprofits, schools, government, businesses and philanthropy together to support the success of our region’s 20,000 children ages 0-18. The goals of the Initiative were clear: to ensure that children were ready for kindergarten and that students graduated from high school ready for college and career. While the Collective Impact strategy of Cradle to Career was being implemented, several gaps had been identified that could be addressed immediately. Thus, Preschool on Wheels was created. Having enough space for children is one element of an early childhood education system. Affordability and quality are also equally important. Regional efforts to address the cost of childcare and to increase quality of programs will continue. 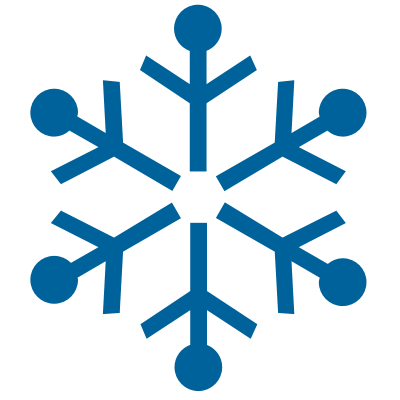 The Rocky Mountain Preschool Coalition has been working on ways to develop sustainable funding for early childhood education to benefit low- and middle-income families as well as incentivize licensed programs to increase quality. Aspen Community Foundation wants to encourage replication of the mobile preschool model elsewhere in Colorado. 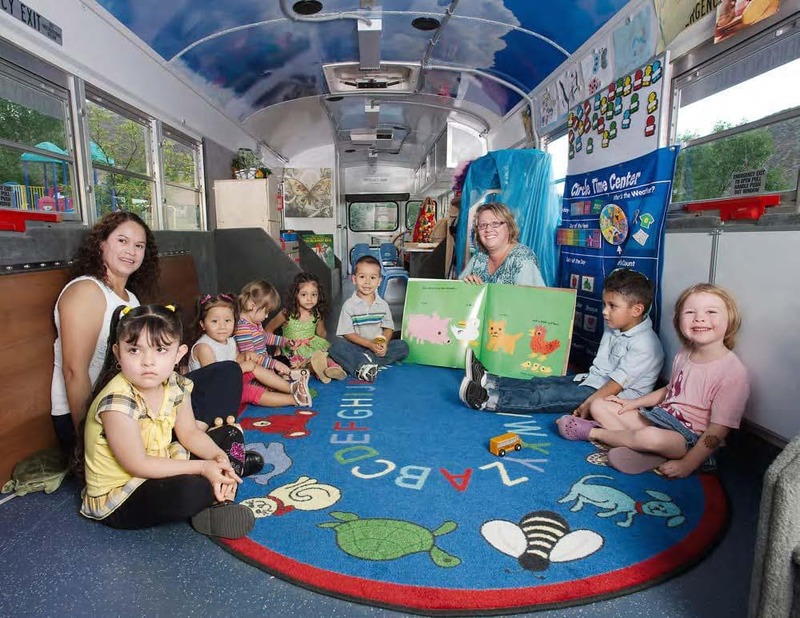 The Preschool on Wheels buses – Gus and Sunshine – and program toolkit will be made available to a rural community that is poised to take on this innovative approach.